"Volunteer Professional Dog Teams Locating Lost and Missing Persons"
To be the lead volunteer canine search and rescue team in Connecticut as determined by emergency service agencies and the community, and to foster a climate of excellence and professionalism in search and rescue. 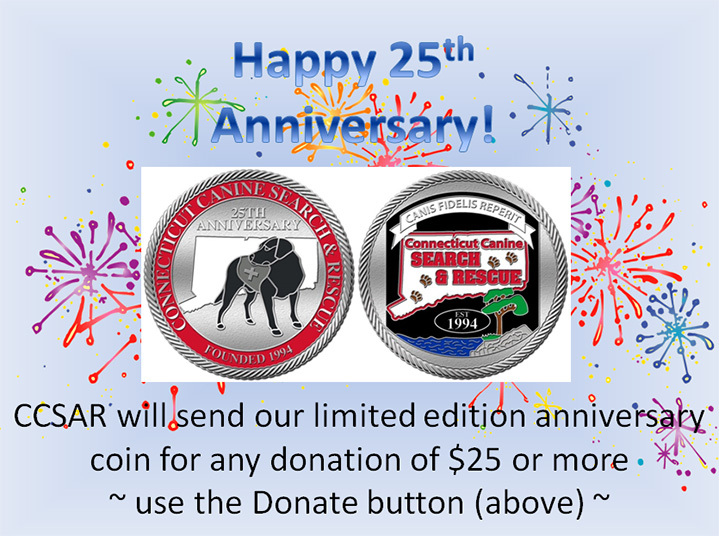 2019 is CCSAR's 25th Year! 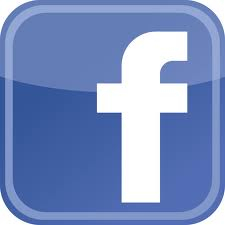 "Like" us on Facebook to better follow our activities. Visit the Events page to view recent Team Activities, and to stay current with our activities, follow us on Facebook! Would you like to help our emergency response team train our search dogs? Click here for more information and to sign-up. A big THANK YOU to all who support this volunteer organization financially.